Our Directors | J. E. Bergasse & Company Ltd.
A Director with J.E. Bergasse and Company Ltd. since 1999, Mark Waters attended the London Academy of Music and Dramatic Arts where he earned a degree in Technical Theatre and Stage Management. After his graduation in 1973, Mark began his work in the Entertainment Support Industry. From 1973 to 1978 Mark was involved with The Theatre Projects Group in London which was the UK’s leading theatre support service company. From 1976 to 1989 Mark was the Founder and Partner of Q1 Lighting Partnership; a company that specialized in the hire of theatre drapes and lighting equipment. From 1978 to 1999 Mark was the Founding Partner and Director of the Imagination Group Ltd. in London. Imagination was formed in 1978 with four directors and eight employees with a first year turnover of approximately £750,000. In 1999 the Company employed 300 people and had a turnover of £90M. Imagination is one of the world’s largest and most highly regarded design consultancies that have pioneered Brand Experience as a new and powerful approach for connecting brands with consumers, corporations, and communities. It is a unique multidisciplinary design and consultancy based in London with offices around the world. Imagination has built its reputation by the creation of spectacular events, environments, and experiences. The work ranges from one-off events to fixed facilities, films, and websites. From 1986 to 1989 Mark was the Director and Founder of U.K.-based Impact Structures Ltd.; a company specializing in modular semi-permanent buildings for the events, sports and leisure market. In 1999 Mark became a Director with J.E. Bergasse and Company Ltd. From 2002 to 2003 Mark was the Partner and Founding Director of the ID3 Group, LLC in Atlanta, USA. ID3 Group provides clients with proven tools and resources to understand and effectively deliver their scenic and exhibit fabrication needs. ID3 Group works directly with design firms, communication companies, retailers, and architects. 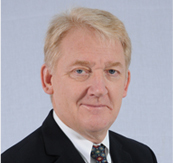 In 2003 Mark became Managing Director of The Imagine Group of Companies. The Imagine Group of Companies is incorporated in St. Lucia and was formed to purchase and develop the land known as Mount Du Cap which is a 38-acre estate recognized as one of St. Lucia’s most exclusive addresses. It hosts a development of luxury bespoke homes with some of the best views on the island. 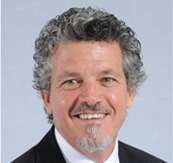 Mark has been a Non-Executive Director with Cox & Company Ltd. in St. Lucia since 2005, Board Member with the St. Lucia Tourist Board from 2009 to 2011 and is still a member of the St. Lucia Tourist Board Events Committee. Mark is a citizen of the U.K. and St. Lucia and has been living in St. Lucia since February 1999 with his wife and three children. He loves his family, music, design, architecture, being on the water, and traveling the world. Hollis Bristol joined and became a partner with J.E. Bergasse and Company Ltd. on September 1, 1959. Hollis is currently the Group Chairman as well as Chairman for Agostini Insurance Brokers (St. Lucia) Ltd. where he has been instrumental in driving revenue and strategy for that Company. 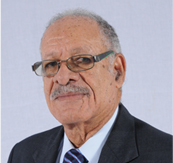 His experience and leadership in this regard has delivered consistent year-over-year growth and revenue for Agostini Insurance Brokers (St. Lucia) Ltd.
Hollis worked with Barclays Bank in St. Ann, Jamaica and left in August, 1959 as an Accountant. Hollis has dedicated his life to service both in the private and public sectors and has represented his country in the sporting disciplines of Cricket, Football, and Tennis. He was the first secretary of JAYCEES and where he served as Vice President. He is also one of the founding members of the Rotary Club of St. Lucia. Hollis has been the Secretary and Acting President of the St. Lucia Chamber of Commerce as well as President of the Caribbean Association of Industry and Commerce. He has served as Mayor of Castries, Member of the Parliament of St. Lucia, Parliamentary Secretary to the Prime Minister and Deputy Chairman of the St. Lucia Development Bank. Hollis has been awarded the Saint Lucia Les Pitons Medal (SLPM) and the Medal of the Order of the British Empire (OBE). Gerard Bergasse started his career with Tropical Shipping in 2004 as Island Manager in St. Lucia. In 2008, in addition to his Island Manager duties, he was charged with the responsibility to develop and build Tropical’s Inter-island business. Mr. Bergasse has also been very active with implementing and supporting Tropical Shipping’s Business Continuity Plan. 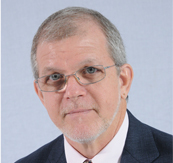 Mr. Bergasse is the President of the St. Lucia Chamber of Commerce and is also on the Board of the St. Lucia Air and Sea Ports Authority. In his role as Chamber President, Mr. Bergasse has focused on the Chamber’s mission of “Making it Easier to Do Business in St. Lucia” using the World Bank Doing Business as the benchmark for progress. Mr. Bergasse holds an MBA from the University of Toronto, Canada and a Bachelor’s degree in Electrical Engineering from Ryerson University in Toronto, Canada.